*PRELIMINARY SPECS* The 100 model gives you entertainment spaces that offer the best aspects of open water: fresh air, huge skies and vantage points that are shaded and comfortable. The owner stateroom is the prime spot on the main deck. This full-beam, two-level stateroom commands views so big they were once impossible to obtain, but our I-beam engineering has made them come to life with light-filled windows.The 100’s skylounge is a luxurious entertaining spot where sunsets and sunrises can fill the huge windows on three sides.The 100 motoryacht is full of possibilities. Come see them for yourself. 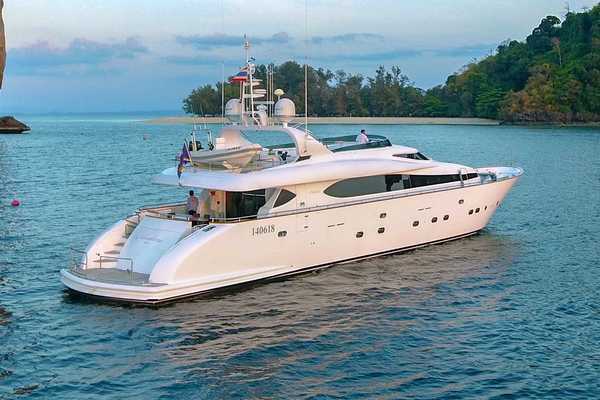 United Yacht Sales New Jersey would love to guide you through a personal showing of this 100' Ocean Alexander 100 Motor Yacht 2019. 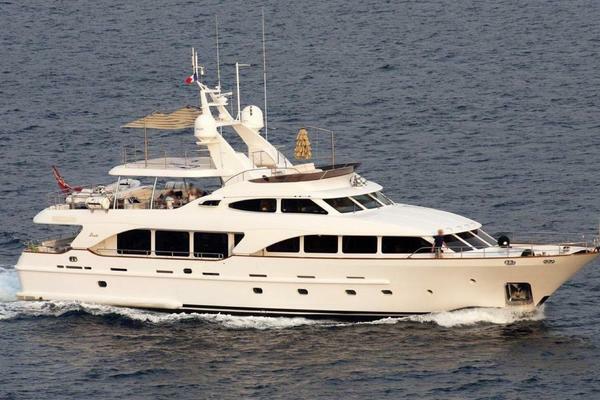 This yacht for sale is located in Newport Beach, California. For pricing details or a showing please contact us by filling out the form on this page and we will get back to you shortly! Skylounge control station with complete engine instrumentation with lighted, modern switches. Dual stainless steel pool anchors 350 lbs. from hull sides w/ 300ft anchor chain (1/2" HT) & chain stoppers. Air compressor in engine room w/ multiple quick disconnect outlets. Ocean Alexander proprietary “dry bilge ventilation system” with dedicated bilge exhaust to outside. This provides constant airflow to keep the bilges dry and mildew free. Any moisture from condensation is evacuated outside the yacht to keep a clean and healthy cruising environment. Two S.S. flag poles, fore and aft.